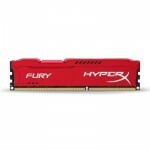 HyperXÂ® FURY DDR4 detects your systemâ€™s components and automatically overclocks itself to the highest published frequency, up to 3466MHz, for a Plug N Play performance boost. This cost-effective upgrade will let you crank up the settings on your favourite FPS, MMO and MOBA games and provide better video editing and rendering performance. Itâ€™s available in speeds from 2400MHzâ€“3466MHz, CL15â€“19 latencies, single module capacities of 4GBâ€“16GB and kit capacities of 16GBâ€“64GB. HyperX FURY DDR4 looks and stays cool, thanks to its stylish, low-profile heat spreader and DDR4â€™s low 1.2V power consumption. 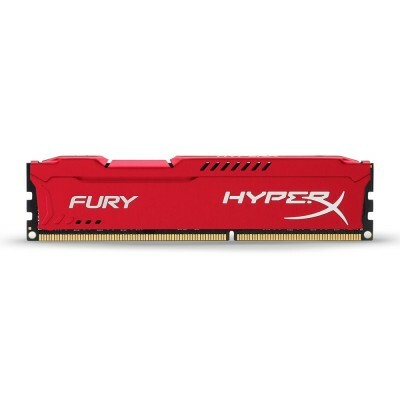 One hundred per cent tested at speed and backed by a lifetime warranty, HyperX FURY DDR4 is your worry-free upgrade of choice.